My husband served a mission for our church in Santiago, Chile before we got married. In Chile they take buses everywhere they go. 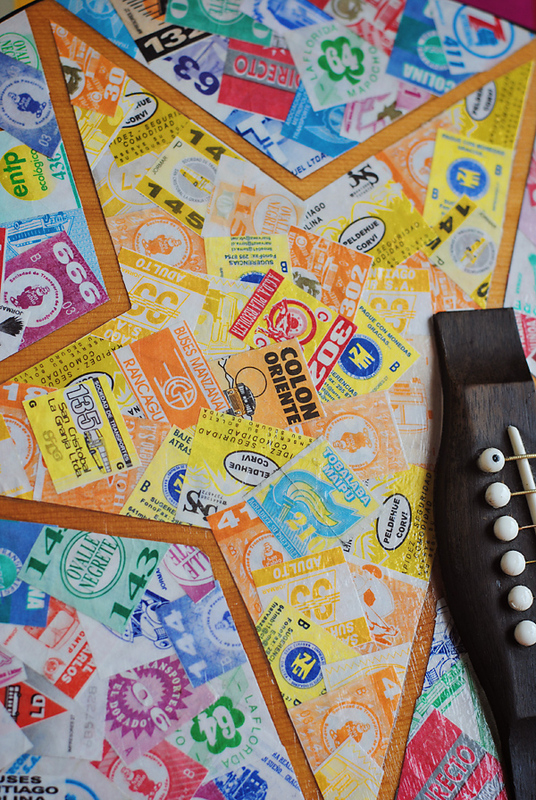 He started saving his bus tickets with plans to do something cool with them once he got home. After we had been married for a few months he told me that he wanted me to get crafty and figure out a way to put the bus tickets on his acoustic guitar... I love a challenge so I got thinking of all the possibilities to make this guitar look super sweet! I wanted to leave a little of the natural wood showing through so I came up with the idea to do a star in the corner with all the yellows and oranges, then leave a border of the wood, and finishing the rest of the guitar with the other colors. 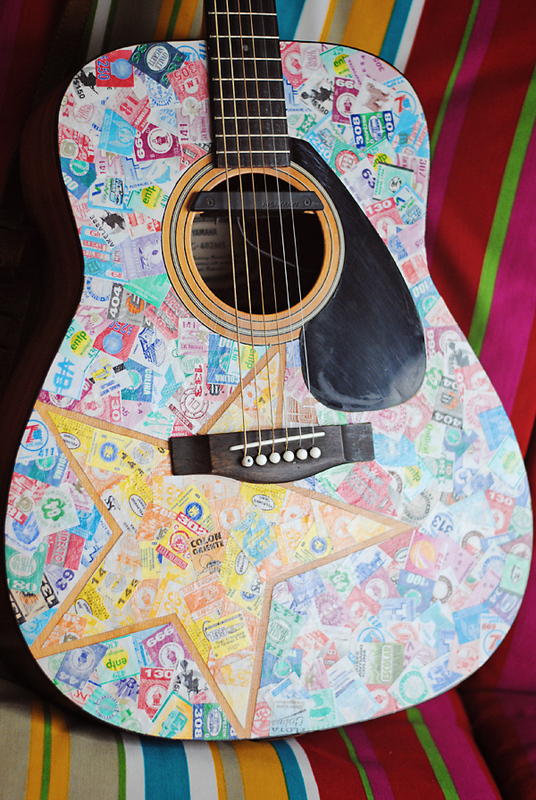 It was a lot of work to sort through the hundreds of little tickets- lots of cutting with scissors, and an exacto knife plus TONS of modgepodge to glue them on... but it turned out really cool...no one else has a guitar like this in the world... and my husband loved it! Ash, I have always LOVED his guitar. You really did such a perfect job on it. It was a great idea too. I love it. That is seriously awesome, Ash. What a good idea and fun that you guys kind of came up with it together. It looks like it should be that way!